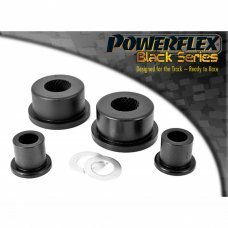 2 x PFR5-308-18 Powerflex Rear Roll Bar Mounting Bush 18mm (No.6) for BMW e30 e28 e24 PU Lager / PU Buchsen / Polyurethan quantity per car: 22 in this box BMW E30 3 S..
2 x Powerflex PFF5-301 FRONT LOWER WISHBONE REAR BUSH FIT FOR BMW E30 E36 Z3 (No.1) for BMW e30 / e36 / Z3 front axleBMW cross numbersBMW 31 12 1 135 352BMW 31 12 1 135..
2 x Powerflex PFF5-302-19 Front Anti Roll Bar Mounting 19mmMenge pro Auto: 2Artikelnummer im Bild: 2 Quantity per car: 22 in this box BMW E30 3 Series (1982 - 1991) ..
2 x Powerflex PFF5-302-20 front anti roll bar mounting 20mm BMW e30 BMW 31 35 1 129 139BMW 31351129139 PU Lager / PU Buchsen / Polyurethan quantity per car: 22 i..
2 x Powerflex PFF5-302-22 Front Anti Roll Bar Mounting 22mm quantity per car: 22 in this box diagram reference no. 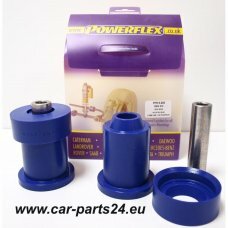 2Teil auf der Zeichnung Nr. 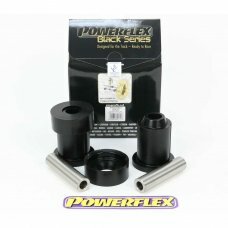 2Bitte kontrollieren Sie den ..
2 x Powerflex PFF5-302-24 Front Anti Roll Bar Mounting 24mm quantity per car: 22 in this box diagram reference no. 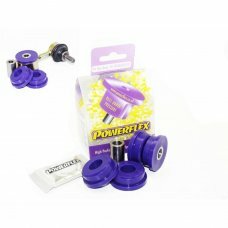 2Teil auf der Zeichnung Nr. 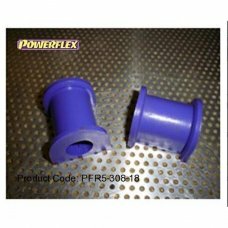 2 BMW E30 3 Series (1982 - 1..
2 x Powerflex PFF5-303 Front Lower Wishbone Rear Bush Eccentric BMW e30 e36 Z1 BMW VergleichsnummernBMW 31 12 9 061 222BMW 31 12 2 226 160BMW 31 12 1 135 352BMW 31 12 1 13..
2 x Powerflex PFF5-304 Anti Roll Bar Link Rod Bush BMW e30 e36 (No.3) Only the bushes, the link rods are NOT included This part is designed to fit models where the Anti Roll Bar joins lower arm no..
2 x Powerflex PFR5-308-14 Lagerung Stabilisator hinten 14mm für BMW e30 Z1 e36 compact2 x Powerflex PFR5-308-14 Rear Roll Bar Mounting Bush, stabilizer mounting&nbs..
2 x Powerflex PFR5-5630-10 Rear Shock Top Mount Bracket and Bush 10mm BMW e30 / e36 / e46 BMW 33 52 1 092 362BMW 33 52 1 137 972BMW 33 52 1 128 734BMW 33 52 1 128 819BMW 33 ..
2x PFR5-305 rear beam mounting bush for BMW E30 (No.4) PU Lager / PU Buchsen / Polyurethan Powerflex PFR5-305 Für BMW e30 Hinterachse PU Lager / PU Buchsen / Polyurethan quantity per car: 22..
2 x POWERFLEX PFR5-305BLK REAR BEAM MOUNTING BUSH FIT FOR BMW E30Ultimate performance motorsport track and race bushesoffering the most precise and accurate alignment for you..
4 x Powerflex PFR5-306G rear trailing arm bush adjustable BMW e21 e30 e36 compact Z3 (No.5) On car adjustable bush offering camber and toe adjustment. 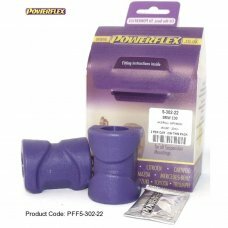 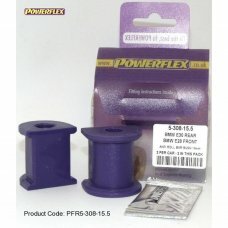 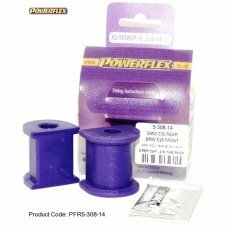 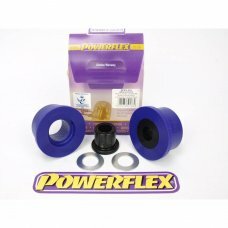 Gi..
Powerflex PFR5-300 rear diff mounting bush for BMW E30 e36 compact Z3 (No.7)BMW Vergleichsnummern:BMW 33 17 1 090 948BMW 33 17 1 135 242BMW 33 17 1 124 373BMW 33 17 1 128 586BMW 33..
Powerflex PFR5-300BLK Rear Diff Mounting Bush Motorsport Application (BlackSeries) BMW e30 und e36 compactThis part is designed for Motorsport use only. 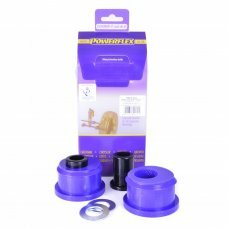 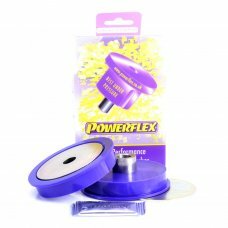 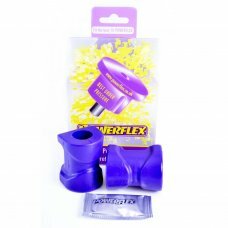 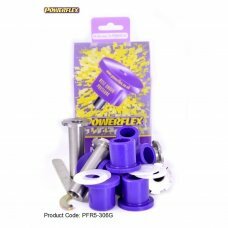 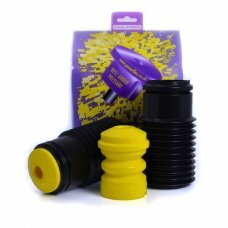 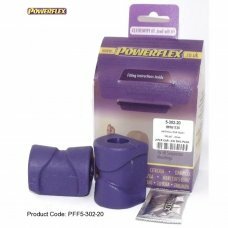 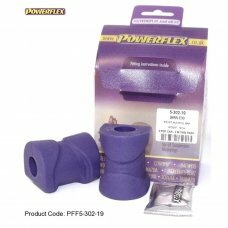 Being that it is made from a harder materia..
Powerflex PU Set Anschlagpuffer Stoßdämpfer Vorderachse BMW Powerflex BS2003K BUMP STOP KIT / BMW PU Lager / PU Buchsen / Polyurethan quantity per car: 22 in this box BMW..